There must be more than one hundred AVI file video editors, but editors for WMV, FLV and MPEG aren't so common, this might be because of the peculiarities of these formats, because they are difficult to edit or simply because they aren't popular enough. The thing is, Movica is a program to edit them. Once we have installed the libraries necessary (that aren't distributed with the program because they aren't open source, even though it isn't very complicated to find them), we'll be able to open any WMF, FLV and MPEG file, and trim it, delete parts, reorder trimmed sequences, or whatever we want. 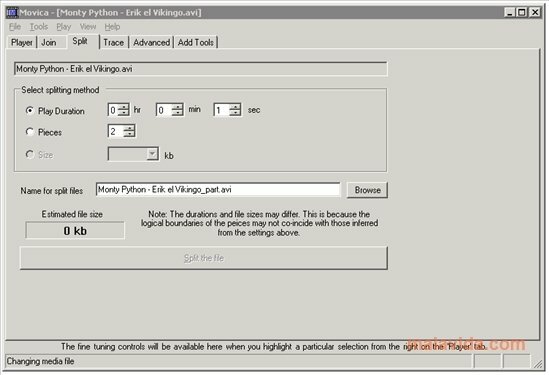 All the latter using a plain GUI that uses tabs to organize the different possibilities it offers, and that most users should be able to use in a few minutes. Like most video editing programs, we can visualize the video with the timeline below. Furthermore, if we have RealPlayer installed, Movica will also be able to edit RM files. Don't think twice and download Movica to edit those files you couldn't edit before. 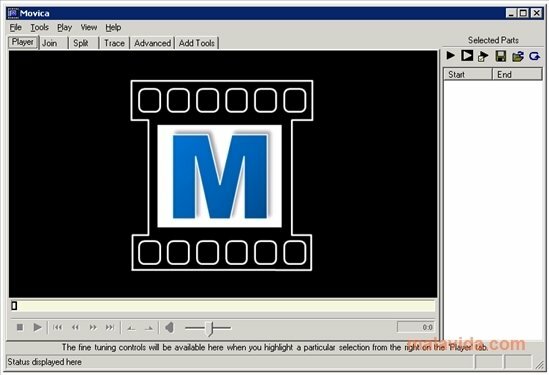 It's necessary to install the AsfBin, MpgTx and flvtool libraries so that it can recognize the corresponding video formats.